We process your personal information to protect the legal interests of us and others. A legal interest exists when we have a business or commercial reason to use your information. Even then it must not be against what is fair to you and your best interests.We do not perform personalized marketing and we do not make use of profiling for marketing purposes. We retain your personal information for as long as we have a business relationship with you as evidenced by the existence of an active distributor access or client newsletter subscription.Six (6) months after the termination of our business relationship (explicitly: the expiration of your last subscription with us or your last log in to our site, whichever comes later) the following actions will be taken:Your user account will be permanently deleted.Your private tickets will be permanently removed and you will forever lose access to them. Please note that your public tickets will remain intact. We do not use automated decision making and we do not perform any kind of automated profiling of our clients and web site visitors. The GDPR introduces restrictions on the ability of children to consent to data processing without parental authorization. We do not allow minors (persons under the age of 13) to use our site. Any accounts found in violation of this term will be terminated and all information pertaining to that user account will be erased. We do not sell, trade, or otherwise transfer to outside parties your personally identifiable information. We may release your information when we believe release is appropriate to comply with the law, enforce our site policies, or protect ours or others rights, property or safety. 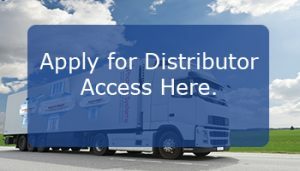 When asking to be registrated on our website as a distributor, you are asked to enter your name, email address, company name, phone and adress. You can change this by your self at any time. When requesting support through our website, we may ask for information regarding our products, when the purchase was made, the name of the distributor as well as your location and type of business. We use that information to provide you with support. When you subscribe to content change notifications, if you don’t have an account on our website, you are asked to enter your name and email address. If you already have an account on our website, then we process your name and email in order to send you email notifications about our products. Your IP address is temporarily collected whenever you are accessing our website in our web server’s logs, our security software’s logs and our download system’s logs (only when downloading through our site or when downloading updates of our software). This information is used to ensure the security of our website and to prevent abuse. IP address information is not directly identifiable information but if it’s stored in conjunction with your user account ID it might be an indirect identifier. We process your personal information to provide you with support, send e-mail regarding our products and events and support we have agreed upon when you subscribed to our distributor portal or client newsletter. When logging in we automatically process your personal information to protect you against unauthorized access to your account and ensure your account safety. We also display you parts of your personal information for reasons of personalization of our site’s pages and ensuring that it’s clear who is the currently logged in user. When you are a client subscriber to newsletter or if you have distrubutor access with newsletter subscription we process your personal information to send you emails about new products and events.